Fans and Gustavo’s team had gathered at the airport 5:30 a.m. to greet us warmly with food and drinks and embracement, which was sorely needed. To mention that we all felt kind of dizzy is an understatement; we were completely worn out. The third flight in a row that night with no real possibility for sleep whatsoever in sight, awaited us. Arriving in Cochabamba, Bolivia, at a very early time, we were amazed that the streets were incredibly busy. During our ride to the venue we got an interesting view of daily life in Cochabamba which to me seemed like quite a culture clash between traces of ancient Bolivian culture and hectic city life which could be in any southern city in Europe. Feeling extremely tired after 20 hours of traveling we were happy to get 45 minutes of rest..but that was actually it. 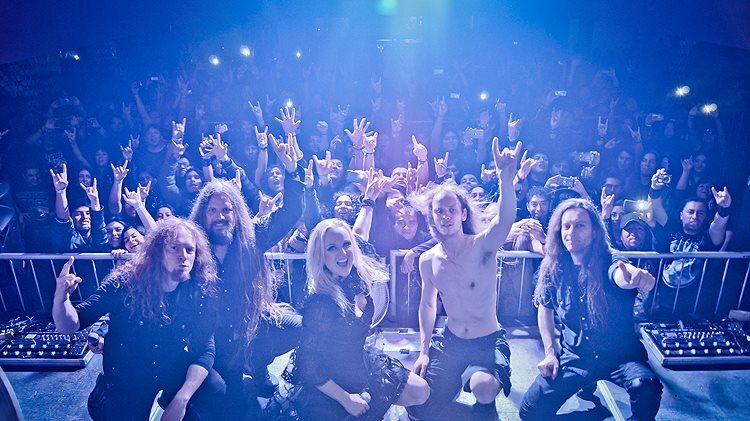 However, the passion and loudness of the audience who filled up the venue in Cochabamba was fantastic and thriving and we surely lifted the roof that night! Our promoter Zubelza Vega did her best to make us feel better and comfortable.